1166 sqft 3 bedroom apartment with 2 toilets, living dining, kitchen etc on the 2nd floor in a G+4 complex along with a covered car park, lift, power back up and amenities available for sale. 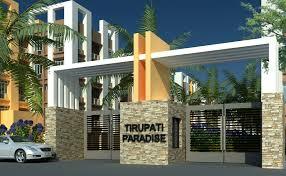 This project is located at Garia Rajpur. Near from EM Bypass. Malls Hospital Banks,School all are within 2km of the complex.